I wish I could give you the gift of hindsight and the peace it brings, but I can’t. Yet I will tell you what I wish I had known 10 years ago when I went back to work after having my baby. Daycare isn’t so bad after all. Your baby will make friends, learn, and be loved and cared for. You might make new friends there, too. The other moms all work so it’s a haven for acceptance and non-judgment. It will be a village, Working Mom, and you need one. Your baby will not love your daycare provider more than you. Yes, it’s possible that one day she may call her “Mama” before she catches herself, but that’s an innocent slip. She’s probably said it to your husband at least once. It’s flattering, really, that yours is the name she thinks of when she wants someone to take care of her and love her unconditionally. That meeting you missed at work when she was sick? That whole week you missed because she couldn’t kick a fever? It doesn’t matter now and it really never mattered much at all. The earth kept spinning. 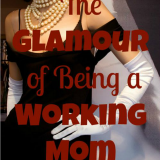 Working Mom, you will get some semblance of your life back one day. It will not always be washing bottles and preparing more for tomorrow before starting the bedtime routine every night. You’ll be able to sit and watch a Hallmark movie on your own one day in the future while she runs around with the neighborhood kids. You might even miss her a little during that time, too. One day, Working Mom, you’ll be giving advice to women who left the workforce and want back in. You’ll have first-hand experience with flex hours, after school care, and sick child care. You’ll be the expert on what meals in a crock pot the whole family will enjoy and how to balance homework and activities in the evening. It’ll feel good, Working Mom, knowing that you can help others because you’ve been there. In 10 years, Working Mom, you may be in the same job and at the same company. You may have taken a job with a different company. You may have been promoted. However, let me stress what will be the same: you will have been with the same child, loving her, day in and day out for all of those 10 years. You didn’t miss the most important years after all. Remember how you were there for all of them and continue to be? 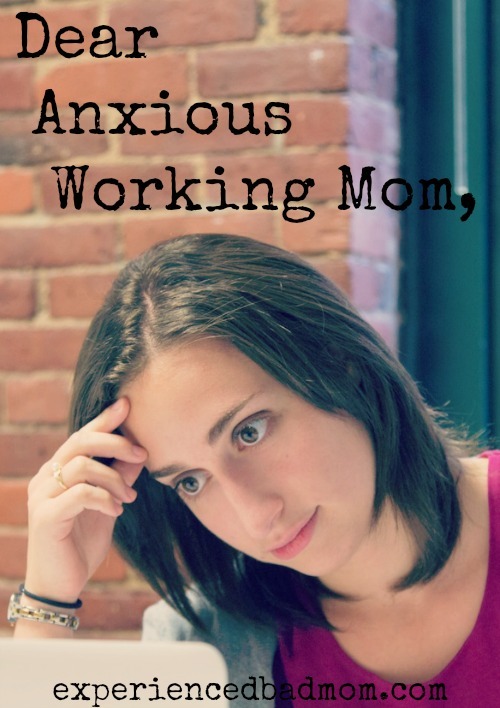 Oh, Anxious Working Mom Going Back to Work, if there’s one thing I would tell you it’s this: don’t be anxious. Live each day to the fullest, doing what you love for who you love. So many of us have gone down this road before and we’re here for you. You and your baby are going to be just fine. Even great. This post originally appeared on Good Mother Project. I agree that while you’re in the thick of it, you wonder if you’ll ever come up for air. And then you do! It might take years but it’ll happen. Oh, good luck! I’m sure it exists and I wish you a quick and successful way to find it. Take care! Important words addressing, from experience, the thing working-outside-the-home moms worry about. I especially loved your take on a child calling the caretaker “mama”. Brilliant and beautiful! And that happened to me both when I worked as a daycare teacher and then later when I was a daycare mom. It can really mess with your head unless you realize it’s an easy, honest mistake – and flattering really. I’m don’t think I am an anxious working mum anymore, just a tired one. The 3am Stockholm/Sydney starts are starting to really kick in… at least I finish work before lunch, then have a nap, then can pick up the kids early from day care. Extreme mothering…. So lovely, Katy. When I went back to work my daughter stayed home with dad. My sons later came to work with me, since I was teaching preschool at that point. It wasn’t until my youngest was almost 2 that I had to drop them off and go, and it was HARD! But they survived and thrived and I”m thankful for the day care friends and teachers they interacted with. Oh yes, that anxiety. I hear you. It’s so hard to quell, but you have shared some very real goodness here with all of us. Thanks Katy!